This is “Torah 101” for everyone! 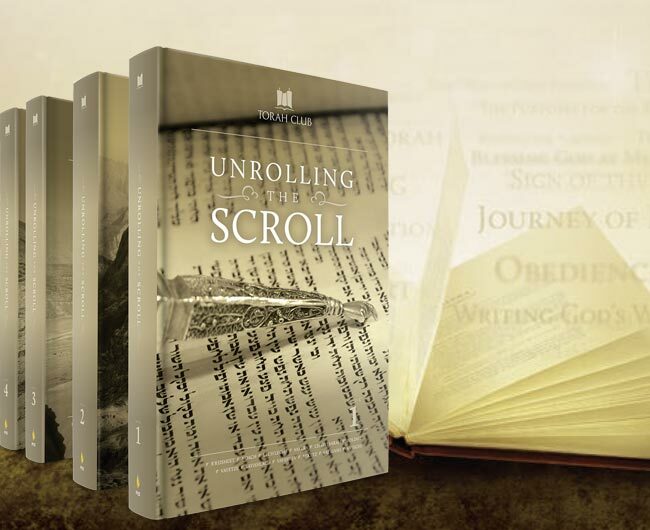 Get started with the ancient scroll of the Torah! This weekly Bible study introduces both new believers and seasoned Christians to the Torah of Moses and the Jewish roots of Christianity with practical applications for godly living. Unrolling the Scroll follows the synagogue's annual Torah reading cycle, providing commentary and insights on the weekly Torah portions which are read in the synagogue from Sabbath to Sabbath. This unique format makes it possible to study along with the Jewish community, moving through the whole Torah in one year of weekly lessons. Peppered with insights from ancient rabbis and anecdotes from modern Christian life, this edition of Torah Club demonstrates the value of Torah for Christian living today. It also includes connections to the New Testament and writings of early Christians, and introduces students to both the Jewish Roots of Christianity and the world of Messianic Judaism. 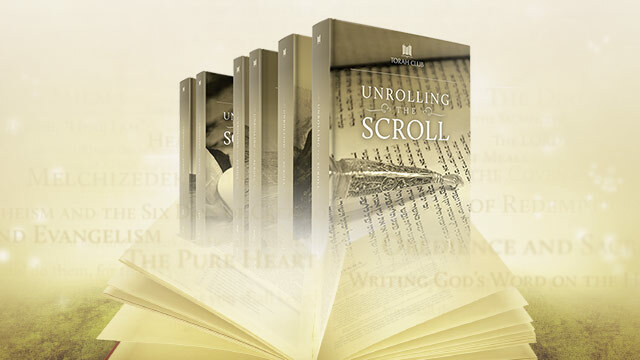 More than just a weekly reading guide or Bible commentary, Unrolling the Scroll is filled with new insights and practical applications which exhort us to practice righteousness while developing a deeper relationship with our Father in Heaven. Book One teaches through the stories of Genesis with faith-building lessons from the lives of Adam, Noah, Abraham, Isaac, Jacob, and Joseph. Book Two teaches through the stories of Exodus with faith-building lessons from the life of Moses, the exodus from Egypt, the giving of the Torah at Sinai, and the construction of the Tabernacle. Book Three teaches through the laws of Leviticus, drawing spiritual lessons about the sacrifices, the priesthood, the Sanctuary, the biblical festivals, and the dietary laws. Book Four teaches through the stories of Moses and the children of Israel in the wilderness with powerful lessons about God's provision, protection, and patience from the book of Numbers. Book Five teaches Deuteronomy’s spiritual truth on the edge of the promised land with lessons from the words of Moses as he prepared the children of Israel for the last stage of their journey. Appendices include additional essays, maps, charts, diagrams, indices, bibliography, and other useful tools to assist you in your study of the Torah. 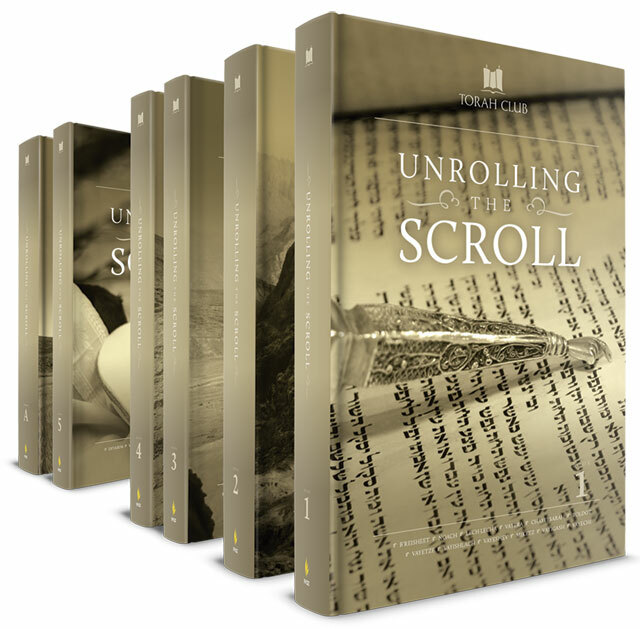 Unrolling the Scroll Audio Commentary contains fifty-four audio chapters corresponding to the fifty-four Torah portion. The audio magazine supplement includes a parashah overview, a discussion on the practical ethical applications of each Torah portion, a Mitzvah Minute which highlights a particular commandment, and a Hebrew lesson which introduces students to rudimentary Hebrew. Midrash: Boaz Michael and Toby Janicki discuss insights into the ethical application of principles derived from the weekly Torah portion. Mitzvah Minute: Toby Janicki provides a short focused teaching on a specific commandment from the weekly Torah portion. Hebrew Lesson: Tikvah Michael introduces students to basic biblical Hebrew with examples from the weekly Torah portion.